Happy Thursday! December is finally here and I am so excited to start wearing my fluffy sweaters and holiday dresses! Today I put together an outfit I would wear to a holiday party. I bought this cream lace dress from Nordstrom and included it in my "Nordstrom Anniversary Sale 2014" post. I love the high-neck collar of the dress and the long lace sleeves. This dress definitely reminds me a little bit of a modern "Victorian" lace dress. 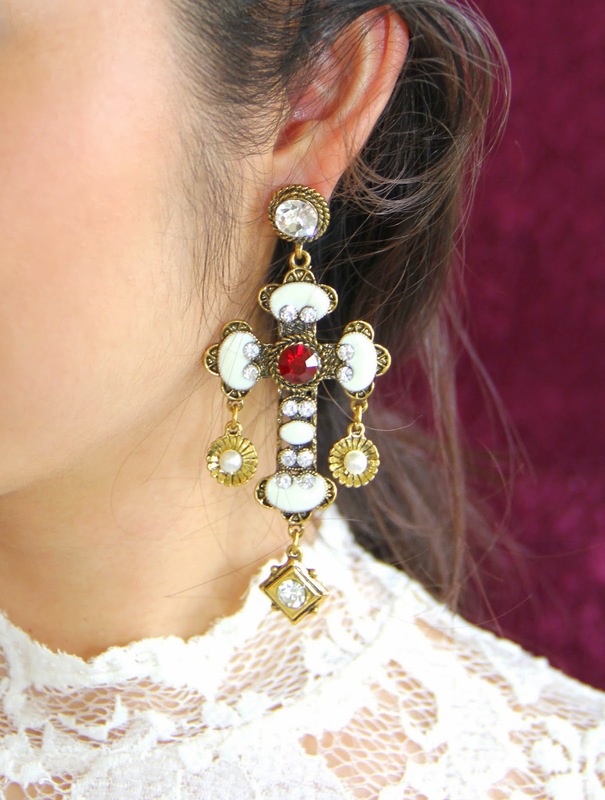 To give the dress a fancier touch, I wore a pair of ornate cross earrings and black strappy heels. Let me know in the comments below what you are planning on wearing to an upcoming holiday party. Sending you lots of love from my heart to yours!